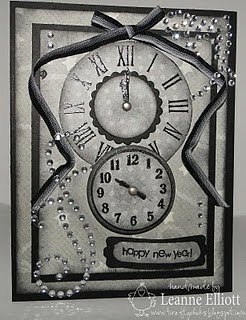 For this week's challenge, which also happens to be a Crazy Egg challenge, I am bringing you a theme of "A New Year." This can be whatever you feel a new year means to you - a celebration, a resolution, a new start, whatever you wish. It is my turn to offer the prize for the Crazy Egg and the picture below shows an assortment of 6 x 6 designer papers, A Good Friend stamp set, and a package of snowflake rub-on's - all from Stampin' Up! 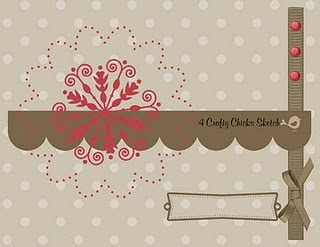 Thanks for playing with us at 4 Crafty Chicks! 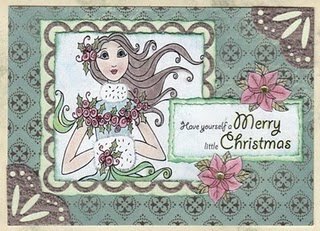 On behalf of all the CHICKS here at 4 Crafty Chicks, I would just like to wish each and every one of you a very Merry Christmas and may you all have a relaxing, stress-free holiday with your loved ones, remembering the "reason for the season." Good Thursday morning to our crafty *peeps. 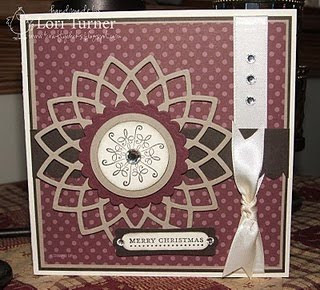 * It is me, Tamie, with another 4 Crafty Chicks challenge *whoot, whoot. 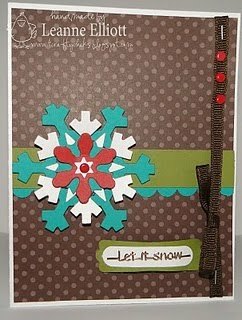 * First off, I want to apologize that our InLinkz collection closed early, for anyone who played with Melissa's Challenge #15 color combo...please leave a link so we can stop by and see it. Let It Snow, Let It Snow, Let it Snow!!!!! Well when it snows what can you make????? SNOWMEN!!!! 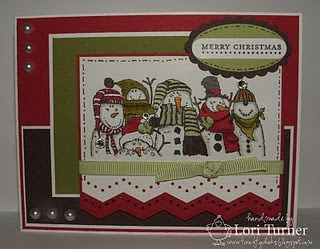 :) Doesn't the word at this time of year just remind you of Frosty the Snowman? So to go along with the wintery storms we have been experiencing since Tuesday night and all the snow we have..... this is my challenge for you. 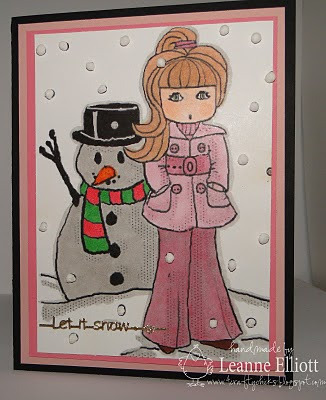 CHALLENGE #16 is SNOWMEN OR SNOWMAN. 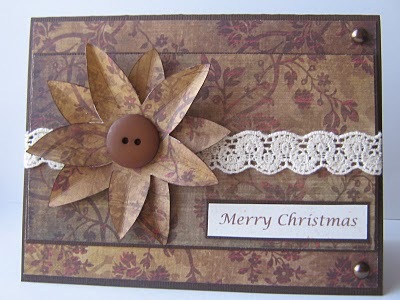 So here is my card for this challenge. While driving home last night in a snow storm, I saw this lone little boy making a snowman and having so much fun in the snow. Me, well I just wanted to get into the house and hunker down. 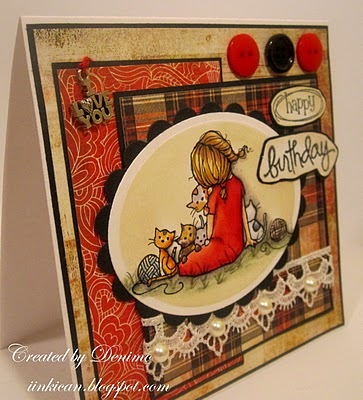 Anyway, this little boy inspired my card, I had this stamp and thought it would be perfect for this challenge. 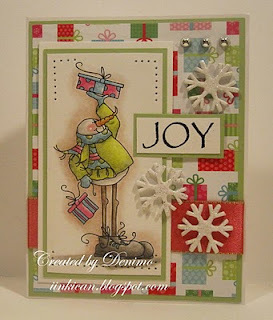 Have fun making snowmen...they do bring a certain joy this time of year! 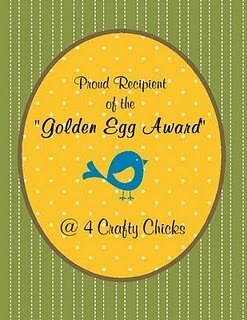 Thanks for playing with the 4 Crafty Chicks! So, now that we've got that business out of the way, it's time to reveal this week's challenge and it's my FAVORITE kind of challenge - a color challenge. 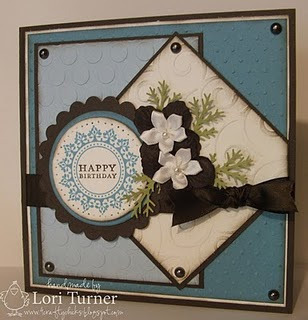 I must admit that this color combo was totally inspired by my new favorite Basic Grey paper collection, Marjolaine. 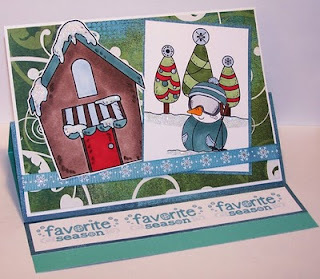 The rest of the Crafty Chicks did a fabulous job with these colors - take a peek! Have fun with these colors! 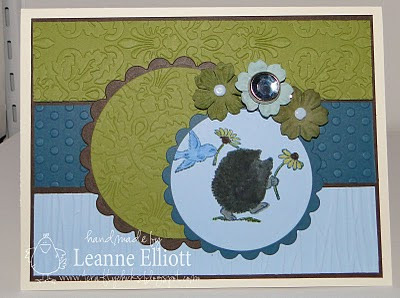 Thanks for playing with the 4 Crafty Chicks! Wow! What a fabulous week of creativeness, (not sure if that is a word or not), but out there in craft land we all have created masterpieces. 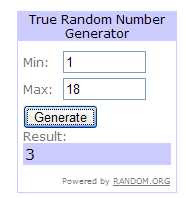 Like I've said to my fellow Chicks the hardest part of the challenge blog is picking which one to win. Wow, thank you all again for playing with us this week for our Inspirational photo. Congratulations Ladies! Please post this badge proudly on your blog and link it back here that would be awesome. 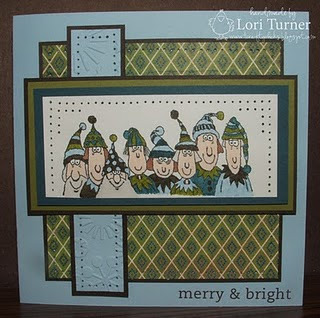 Congratulations Jan, please email Tamie to let her know where to snail mail your prize to. Thanks again everyone. Now onto this weeks challenge. 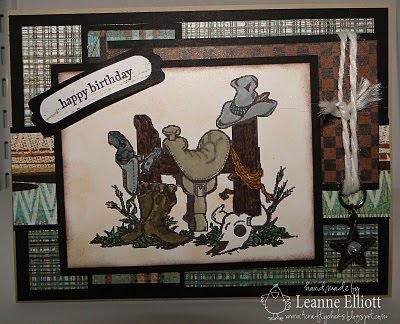 This weeks Challenge #14 is Birthday, and here is what we all created. 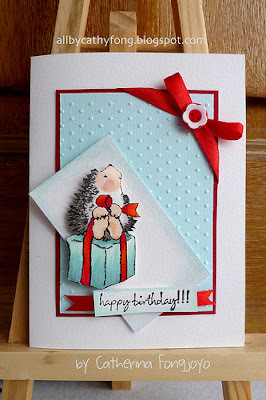 I sure do love these cards Chicks, you are wonderful! Please go over to their blogs and give them some love, we all appreciate it. 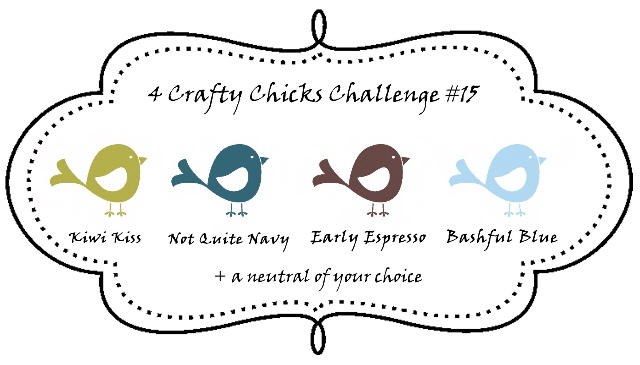 Thanks for playing with the 4 Crafty Chicks!